Electricity is one of the building blocks of the economy and is a necessity for everyday life. We use it to light our homes, power appliances, recharge our phones, the list goes on. Fortunately for customers, Maryland restructured its electricity market, starting in 1999, to transition away from the electric utilities’ monopoly power to a more competitive market. Prior to the restructuring, electricity prices were fully regulated by the Maryland Public Service Commission (PSC) and utilities owned electricity generation, distribution, and retail supply. Now, utilities no longer own generation or have exclusive hold on the supply of electricity (although they still provide default service for customers). While the process of restructuring was not perfect or complete it now provides opportunities for customers to shop for their electricity from electric suppliers, who must compete for their business. 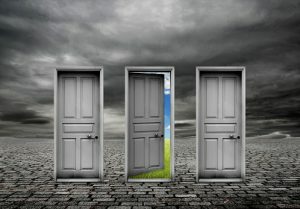 The idea of shopping for electricity may seem strange, since it all comes through the same power lines, but within each of Maryland’s utility territories, customers can choose to either get electricity from the utility in the form of standard offer service (SoS) or they can choose any number of competitive retail electric suppliers. With electricity choice, these retail suppliers must compete and innovate to gain their customers by providing them the products and services that best meet their needs. For example, there are more than thirty different suppliers, all with different electricity plans to choose from, who compete in Baltimore Gas & Electric (BGE) service territory. Marylanders can choose plans based on any combination of price, fixed rate or variable rate, contract length, the existence of an early termination fee, percentage of electricity derived from renewable sources, and more. 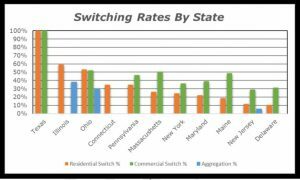 According to the Maryland Public Service Commission (PSC), about 21% of residents were served by competitive electric suppliers in December 2016, which means just under 79% remain on SoS, failing to take advantage of the potential cost savings and tailored service. 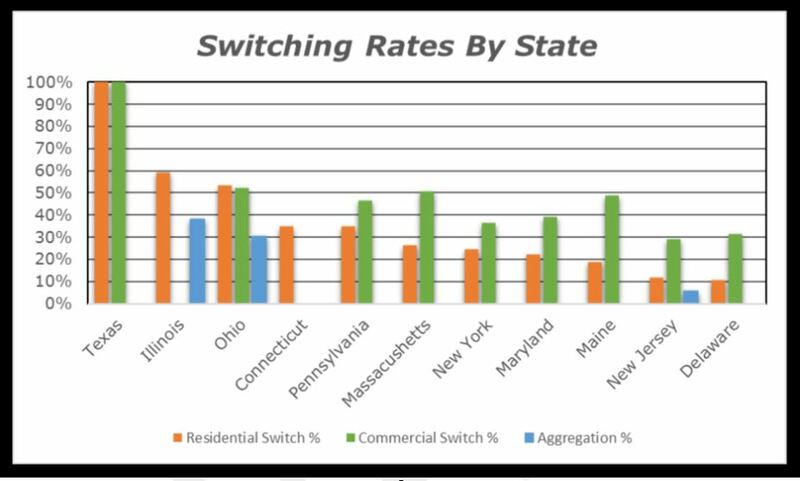 The percentage of customers switching to electric suppliers in Maryland trails behind other states like Pennsylvania, with 35% of customers switching, and Texas, which uniquely requires switching by 85% of the state. In total, there are 17 other states which have deregulated their electricity markets. Those states with the highest proportion of customers eligible for retail choice can be seen below. In 2010, utilities began installing smart meters in about 2 million residences in Maryland. These smart meters allow for an increased amount of data regarding electricity usage patterns, which could be used by customers to better understand their electricity needs and where they can change their behavior to reduce costs. Additionally, electricity suppliers can use this data, to provide tailor-made electricity services to customers that can reduce their overall monthly bills. Improving the access to and sharing of this data will go a long way toward helping Maryland customers. Over time, the PSC has taken action to benefit consumers and can continue to do so. For instance, it used to be the case that if one wanted to switch electric suppliers, it would take an entire billing cycle to process the switch. Now, utilities have three business days to process these switches. This will help ease the burden of shopping for electricity for customers. Maryland can also look to other states for best practices regarding customer choice. Both Texas and Pennsylvania are models, having easy-to-use shopping websites that educate customers and help them find the electricity plans that best meet their needs.